Picture this: you are driving your car on a hot summer day and you can feel your skin sticking to the hot leather seats. This can be quite the uncomfortable experience. Fortunately, researchers at The Ohio State University have found a way to fix this. They have created a nano coating capable of keeping leather clean and preventing that dreaded stickiness. The nano coating was created by the same researchers who “have previously used a nano-engineered texture based on fuzzy leaves to devise self-cleaning glass and a mesh that separates oil from water.” They adapted this same coating to synthetic leather, allowing both water and oil to slide off the coating. As a result, the leather won’t get sticky in temperatures up to 158 degrees Fahrenheit. Bharat Bhushan, Ohio Eminent Scholar, attempted to replicate something that lotus leaves naturally do—repel water because of their bumpy surface. They sprayed a coat of silica nanoparticles on the surface of some synthetic leather. However, the chemicals in the synthetic leather, called plasticizers, prevented the nanoparticles from sticking to the leather. So, they had to use ultraviolet light treatment to clean the surface of the leather. Once they did this, the nanoparticles latched onto the leather and formed the bumpy surface they were looking for. Following a series of tests, they found that the nano coating could successfully permit self-cleaning, repel oil and water, and prevent stickiness in hot temperatures. 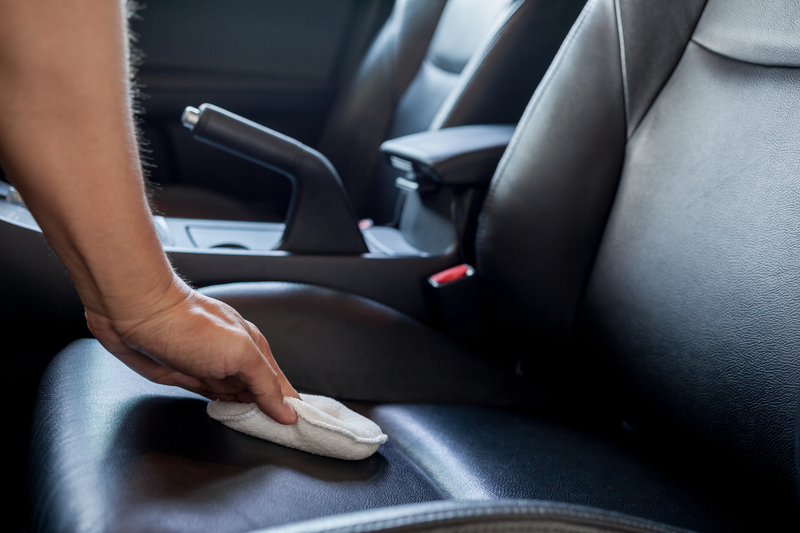 Besides leather car seats, the coating could be applied to indoor furniture like couches. No one likes a dirty couch, and this coating will surely make it easier to maintain. Plus, leather couches also tend to become sticky after long periods of use. Other potential uses for this nano coating include clothing, shoes, purses, wallets, and any other product made with synthetic leather.